Last edited by Kowy; Jan 16th, 2011 at 16:01. I have been waiting all week for this show! Profile: Harmonic Breeze Recordings is an electronic dance music label which is mainly focused on Trance and Progressive. The label was founded and established in late 2008 by Turkish DJ/Producer Faruk Sabanci in co-operation with Arisa Audio which is the main label that HBR is a sub-label of. http://forum.ah.fm/images/icons/icon13.gif and you choosing the 'thumb down' smiley for a change ! 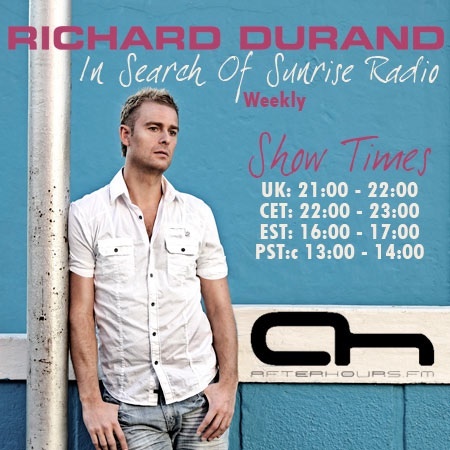 03-12-2010 Richard Durand - In Search Of Sunrise Radio 012 Exclusive Online!